Famous landmarks in Seattle WA are the Space Needle, Qwest Field, Pier 70 and the Experience Music Project (EPM). Other top tourist attractions include the Seattle Monorail, Science Fiction Hall of Fame and Bumbershoot Festival. 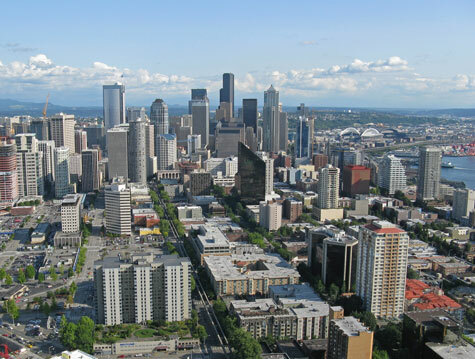 Excellent accommodation can be founded in downtown Seattle, near Seatac Airport and in nearby communities. Transit services in Seattle is comprised of a network of buses, ferries and a monorail system. Train service is also available. Overview of interesting destinations in the state of Washington including Mount Baker, Spokane and the offshore islands.